Using some of the professionals as muses for storytelling can really impact your creative strategy. Why do so many brands botch their storytelling? Stories are a powerful tool. By making us feel something—not just think something—they make information human. We’re hardwired to respond to them. That’s why no child has ever asked for a bedtime PowerPoint presentation. Yet some brand storytelling just seems to miss the mark. This hit me one day when I worked at Google. My team and I were drafting our YouTube narrative. And my first attempt was a diagram. It showed how big YouTube’s reach was and how impressive its results were. I mean, snore. I remembered what I’d learned while getting my master’s in creative writing: A narrative always begins with the story arc—and it certainly doesn’t include a single diagram. A diagram is stuck, unchanging, a snapshot of now. But a story arc moves with time. This means it can have problems and solutions, heroes and villains, ambitions and failures. Suspense, then release. I realized we were getting our storytelling wrong and that many brands were doing the same. A narrative always begins with the story arc—and it certainly doesn't include a single diagram. A better way might be to return to the world’s great writers. People like Virginia Woolf, Gabriel García Márquez and Ernest Hemingway. As I looked at our attempt to tell YouTube’s story with concentric circles, I wondered what advice Hemingway would give. And going by his book On Writing, I think he’d say something like the following. We believe in Hemingway’s characters because they have human failings. However fantastic your product or service, don’t be afraid to tell people where you’re less great. They’ll trust you more. Take the iconic 1960’s Volkswagen Beetle campaigns, such as ‘Think Small.” At the time, America loved big, stylish cars. But these ads boldly acknowledged that the car was small and ugly—then VW’s U.S. sales jumped 25 percent in two years. Emulate the best stories and base yours on action. Brands often tell their story with static nouns: audience reach, product solutions. Our YouTube diagram was a prime example. But stories involve change, and they need verbs. To move people, you need movement. 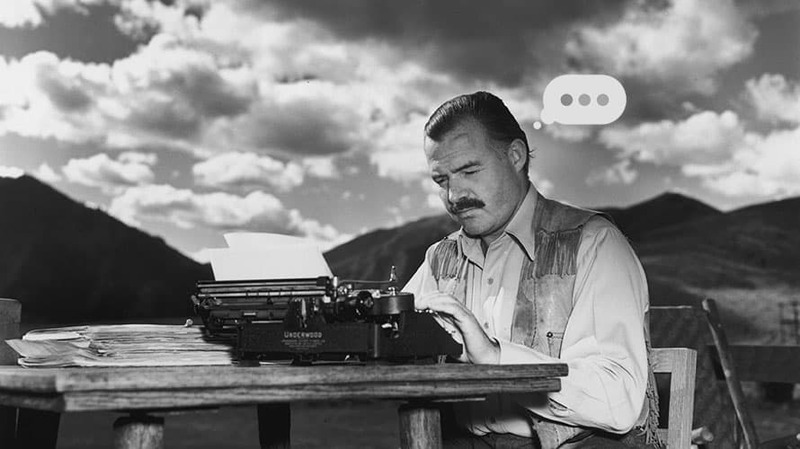 As Hemingway says, “Use vigorous English.” What verbs would make your story leap ito life? To grab people’s attention, you need to create some urgency. We talk about “making a scene” when someone’s being disruptive; it’s the same in any good narration. What’s the urgency in your story? What will make people sit up and take notice? To keep people reading, we need to create some friction. Imagine if Hemingway’s old man had just sauntered out to sea and caught that giant fish straight off. Luckily, no one asked him to “make it a bit more upbeat” or worried about aligning his brand with animal cruelty. Our cave-dwelling ancestors didn’t sit around citing numbers at each other. Stories have always been about words. If your material’s full of statistics, how can you find the story behind them? Google’s Year in Search is a great example. It’s a recap of the year’s biggest searches. Although it would be tempting to use a lot of numbers (there are over 3 billion searches a day), they don’t use a single one. Instead, they focus on the stories, relationships and difficulties. They bring numbers to the micro level because once we’re there, we can connect emotionally. Of course, Hemingway would be astonished by the likes of Google and Badoo (though I think he’d get quite a few matches). But if you want to tell better marketing stories, try taking a leaf out of Hemingway’s book. 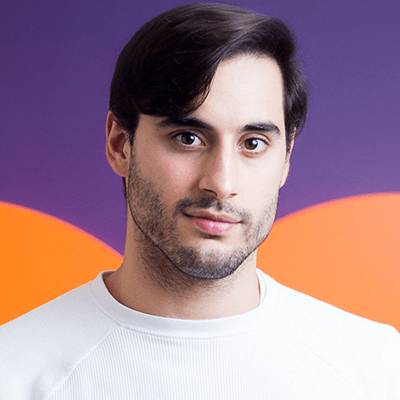 Gastón Tourn is CMO of Badoo.